The Annual Conference (AC) of Oikosnet Europe brought together colleagues who work in academies and laity centers from all over Europe. 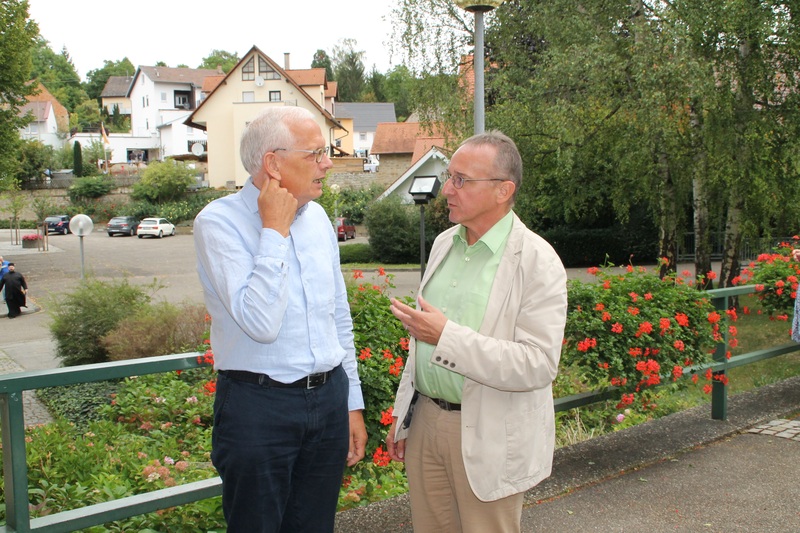 This year, the meeting was scheduled in Flehingen, a cosy place of about 3,600 inhabitants close to Karlsruhe (Germany), not far from the borders to both France and Switzerland. The event was organized by Uta Engelmann and Dr Gernot Meier of the Protestant Academy Baden that in 2017 is celebrating its 70th anniversary. The AC consisted of two parts: one dedicated to one of the key social issues of our time transforming lives, digitalization; and one business meeting focusing on administrative and organizational matters of Oikosnet Europe. Under the theme “The Digital Revolution and its Children”, members of Oikosnet Europe reflected on the impact of digitalization in peoples‘ everyday lifes, new ways of communication, changing opportunities, and challenges. After an intriguing visit to the Center of Art and Media (ZKM) in Karlsruhe, the group of colleagues refleced on virtual realities and digital self-defence with IT-expert Wolfgang Schwach, and on living in a “digital society“ with Professor Axel Sikora. The political impact of digitalization was analyzed looking at “fake news“. One of the outcomes of the business meeting was the election of a new president and a new board. After many meritorious years in office, Jaap van der Sar passed the leadership over to Walter Lüssi, General Secretary of the Reformed Church Canton of Zürich and President of Plusbildung. 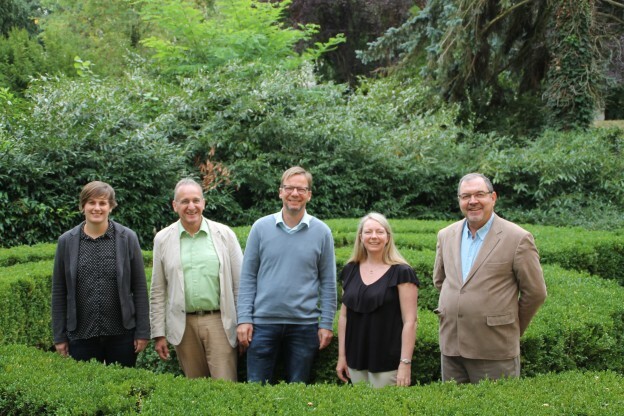 In addition to Walter Lüssi, the Annual Conference elected Sören Lenz (Liebfrauenberg, France) as deputy chairman and Dr Julia Gerlach (Protestant Academy Meissen) as a new member of the Board. Nicola Murray (Corrymeela, Northern Ireland) and Dr Konstantinos Zormpas (Orthodox Academy of Crete) remained as members of the board according to the election in 2016. 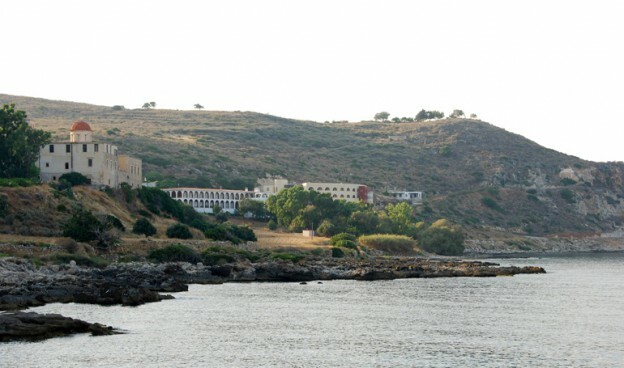 The next Annual Conference will take place in the Orthodox Academy of Crete in September 2018, focusing on the nexus of crisis and innovation. Jaap van der Sar passed the leadership over to Walter Lussi at the Annual Conference in Flehingen. This entry was posted in News from Oikosnet on 7th December 2017 by Sigtunastiftelsen. Once upon a time… So starts every fairy tale and the plot is often situated in an enchanted castle. The protestant academy of the Bavarian Lutheran church is situated in a castle, the surroundings are enchanted, and the lake of Starnberg is open to the marvellous scenery of the Bavarian Alps. But that was not the reason why the new board held its first meeting in this place. 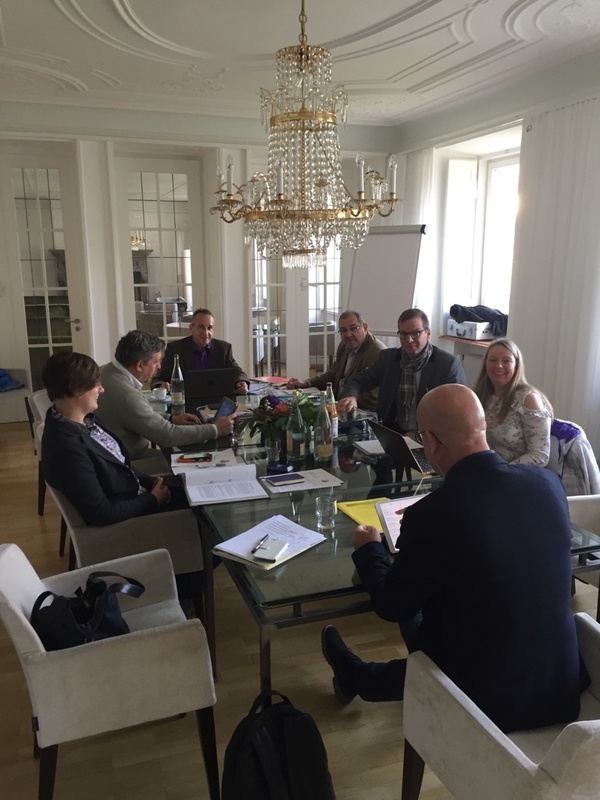 This strategic meeting allowed us to have a first contact with the new vice-director Judith Stumptner of the Evangelische Akademie Tutzing and to present our European network. 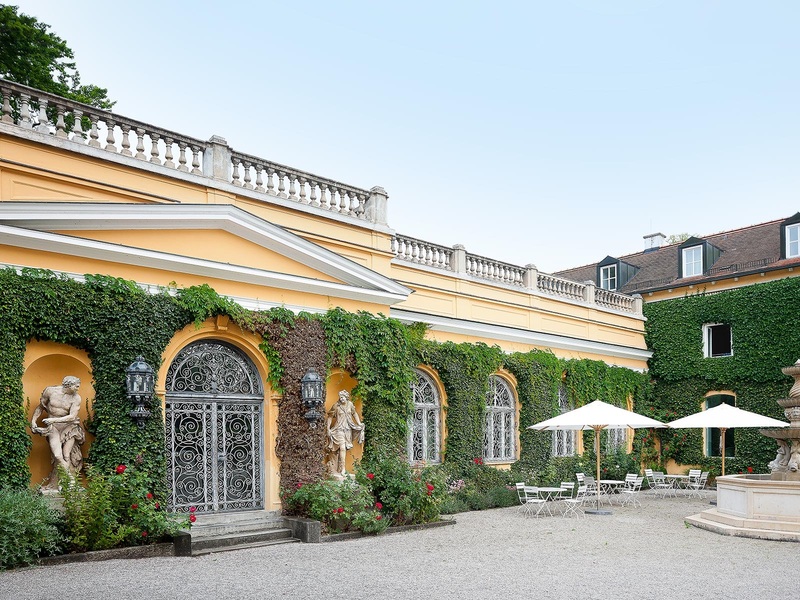 This meeting showed that the Bavarian Academy is not only situated in a beautiful landscape but is as well an important place for seminaries and conferences concerning Church and society issues. (www.ev-akademie-tutzing.de). It would be a great asset if the academy of Tutzing would joint our network in the near future. The number and the content of the returned evaluation sheets were encouraging. Maybe we could give more time to discussions and looking for more interactive forms of conferences. In the last years we realized difficulties to organise the preconference of the Gender and Justice Network when there is no person who coordinates the whole. Julia Gerlach from the Academy of Meissen proposed to draft a mission statement on this issue. She will as well work on a proposal how to implement gender and justice issues in OIKOSNET ACs in behalf of the annual theme. The board acknowledges the work of the Gender and Justice network over the last years and we are glad that Julia wants to continue working on the gender and justice topics with a broader approach concerning all sorts of diversity in our society. During the last years the mission and vision of OIKOSNET was a main issue in our ACs . We are aware that the outcome is important for our members. During the discussion in the board about aims and priorities of OIKOSNET, the idea emerged that the board could set a theme for a year and invite academies to contribute or to join in. The board could collect ideas and priorities of academies and try to find a common topic for the AC. That could be a first step to foster new common projects among our members. Besides the awareness of the actual political situation in Europe, which concerns especially OIKOSNET as an European network we need bearing in mind the spiritual dimension of our ecumenical organisation. After one day intense but fruitful work the agenda for the next year was fixed. We, the five board members and the staff of the OIKOSNET secretariat in Sigtuna? will meet again in march in Strasbourg to work on the details of the next Annual conference in the Orthodox academy Crete in September. The enchanted atmosphere of Tutzing at the lake of Starnberg showed us that we need places which are enchanted and which propose the right distance to everyday life and to widen the horizon in many ways. The view on the distant mountains across the lake were a good reminder that there is a life beyond the walls of our own academies or better castles. Therefore, we need the exchange and the personal contact in our network? We do need OIKOSNET. In recent years, we have seen the rise of many cultural tensions and conflicts, even violent terror and war, in many parts of the world. This has not least been the case in Europe and in the Arab region. Religion has been at the core in many of these contemporary conflicts. If we wish is to see the development of healthy and well-functioning democracies in Europe and in the Arab region, we need to discuss the relation between religion and society. In doing so, we must, among other things, specifically focus on gender issues. We hereby invite You to take part in this Arab-Europe Citizens’ Dialogue on religion and society! Whether you have been participating in any of the previous dialogue consultations or not, you are most welcome to take part in the next event. This is a pre-invitation. A more detailed invitation will follow. The Sigtuna Consultation will start in the early evening of May 1st, 2018, and end in the morning of Friday 4 May. We will have speakers representing Politics, Faith-based Organizations and Civil Society Institutions from both the Arab and the European region. The Consultation will be open for interested participants from both regions. The process to seek appropriate speakers has just started, but we already know that two prominent individuals from Sweden, representing Europe and Sweden, will speak at the Consultation. This entry was posted in News from Oikosnet on 6th December 2017 by Sigtunastiftelsen. 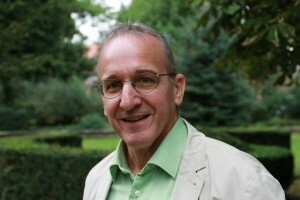 Walter Lüssi, General Secretary of the Reformed Church Canton of Zürich and President of Plusbildung, ökumenische Bildunglandschaft Schweiz, has been elected as the new President of Oikosnet Europe. Walter Lüssi is the successor of Jaap van der Sar who has had the position of President for Oikosnet Europe the last six years, and stepped down according to the statues. 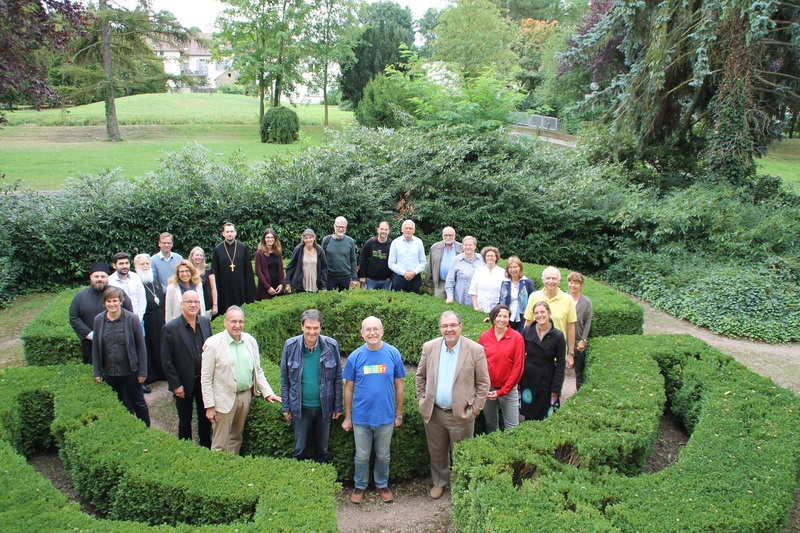 Walter Lüssi was elected at the Annual Conference in Flehingen, Germany in the beginning of September. – Modern societies and the churches themselves are dependent on places of encounter, on expertise and public debates. To this Oikosnet Europe is committed, says Walter Lüssi in a comment to his new role as President. 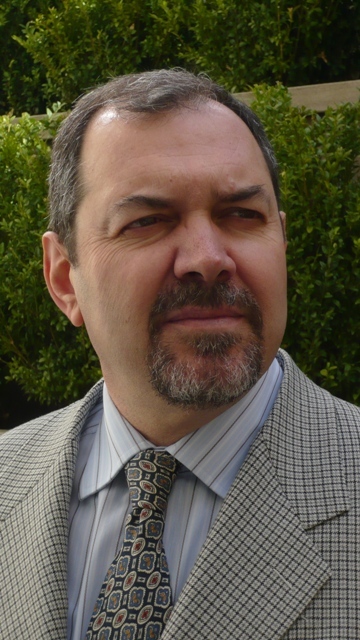 Walter Lüssi has a long term experience within Oikosnet Europe. 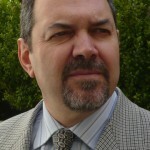 Partly as former director of the academy of Boldern, one of Oikosnet Europes member organisations and partly as the former Treasurer of the Board of Oikosnet Europe 2010 – 2014. In addition to Walter Lüssi, the Annual General Meeting in Flehingen also elected Sören Lenz (Liebfrauenberg, France) as Deputy Chairman and Dr. Julia Gerlach (Academy Meissen) as new members of the Board. Nicola Murray (Corrymeela, Northern Ireland) and Dr. Konstantinos Zormpas (Orthodox Academy of Crete) remained as members of the board according to the election in 2016. Book your flights, pack your summer clothes and bring along your enthusiasm and your ideas to the next Annual Conference of Oikosnet Europe. Save the date September 5 until September 9 . The rest will be taken care of by the Orthodox Academy of Crete. “Anyone who moves on this island feels a mysterious power, warm, good, branched into his veins and his soul grows,” Nikos Kazantzakis, the great Cretan writer, writes in his book “Report to Greco”. Crete: the cradle of civilization in the Eastern Mediterranean. It was inhabited by the Minoans 9.000 years ago, and the visitor can still see the whole history of the island in a scattered mosaic of living ancient ruins! Within this frame of history, the Orthodox Academy of Crete (OAC) began its work, celebrating next year fifty (50) years of work since the day of its inauguration (1968-2018). 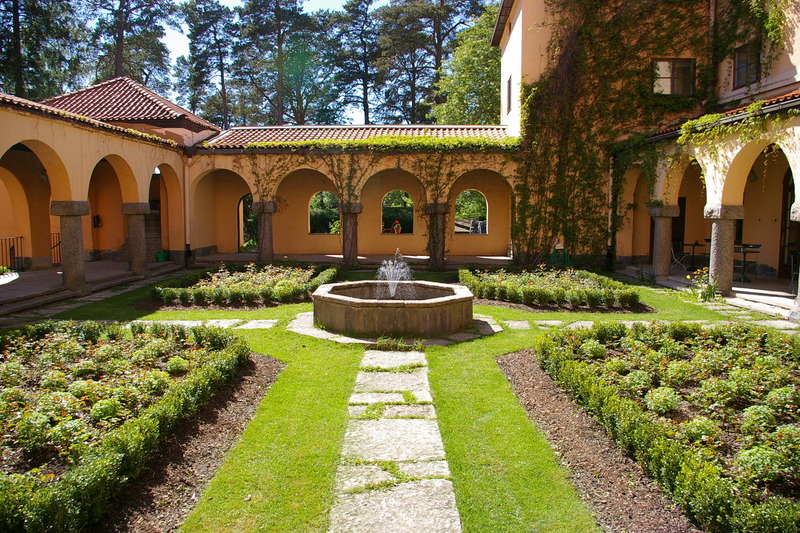 Inspired by the Platonic tradition of symphilosophein, the OAC aspires to be a place for dialogue and spiritual exchange in the diaconia of God and human beings. A continuous dialogue between faith, science and culture. The scheduled Annual Conference 2018 at the OAC constitutes a chance to meet and look with respect at the past and with confidence towards the future. The status quo in Greece and Europe is not the best one in History. The manifold faces of the crisis, on an economic as well as cultural level, do not allow us to proceed with new ideas for the future. We must find answers to essential questions with regard to what the crisis has taught us during the last years, how we are going to make the vision of Europe a realistic one and how we are going to take the hurdles and “reach what we cannot” (Nikos Kazantzakis). Book your flights, pack your summer clothes and bring along your enthusiasm and your ideas. Save the date. The rest will be taken care of by us. Welcome to Crete, welcome to the OAC! European contexts pose many challenges. Longer-term transformation processes are superimposed by rapid changes in many areas of social life. The list of key words that try to rewrite this situation is long: secularization, traditional demise and “the end of grand narratives”, digitization and its impact on the workplace, the cult of health, institutional disenchantment, demographic change, gender and diversity, religious and inter-Christian pluralism, terrorism and counter-terrorism efforts, climate change, the tendency to “useful truths”, the changing media landscape, the endangerment of the heritage of the Enlightenment, the growing right-wing populism and increasing nationalism, migratory pressures and the phenomenon of stateless people etc. Humans and the environment, living together and the cohesion of societies are affected. And we know that people behave differently in the face of their “Fear of Falling”. In a public survey conducted in late 2016 and early 2017 Chatham House researchers identified in collaboration with Kantar Public six ‘tribes’ across Europe that transcend national boundaries and whose members share similar opinions and life experiences: https://tribes.chathamhouse.org/. With all these topics and their social, religious, political and spiritual implications, the members of Oikosnet Europe are working in their own specific ways. Not everyone is doing everything. The expertise is naturally limited to certain fields of research that are related to the history, tradition and strategic orientation of each organization. But what unites us in the Association of Oikosnet Europe is to preserve and promote a common Europe, the tireless remembrance of the dignity of each individual, the careful handling of other lives, care in using the limited resources in God’s creation. In this endeavor, we provide our services to the churches and a broader public and seek cooperation with other civil society actors. Modern societies and the churches themselves within the European contexts are dependent on places of encounter, on expertise and public debates. To this Oikosnet Europe is committed. I cordially invite you to renew this commitment and share it with others within our association. Together, above all together, we are able to play a significant role and contribute to current discourses.